Skywatch Friday – How long can you harness the force of Nature? | Highway - the only way ! Skywatch Friday – How long can you harness the force of Nature? It will break free sooner or later and you will have to bow down before it and let Her through ! Isn’t this true with the dams on rivers? No matter how much you try and stop a river, should she decide to come in her full force, the dams will have to make way ! 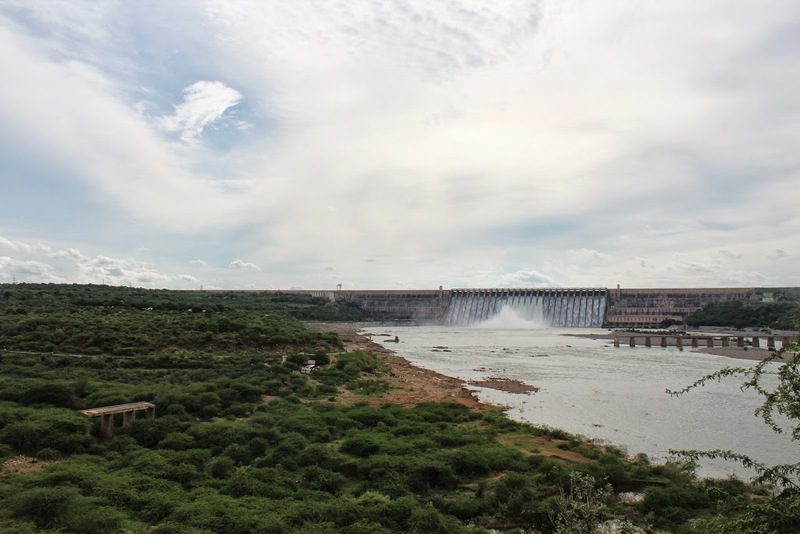 We found a similar scene at the world’s largest masonry dam, Nagarjuna Sagar, India. As the River Krishna gushed out in glee, the clouds came out, the earth stood by and watched while we clicked a picture for Skywatch Friday !